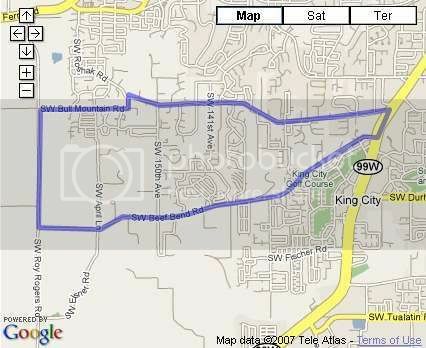 The Bull Mountain South neighborhood of Tigard, Oregon goes west, starting at Pacific Hwy to Roy Rodgers Rd, Then south from Bull Mountain Rd to Beef Bend Rd. This part of Tigard, Oregon is in Tigard School district even though Bull Mountainitself hasn’t been incorporated in to Tigard. Even though this is a more expensive area, there are presently no parks located in the Bull Mountain South area. As of 06/26/2009 here are the stats for the Bull Mountain South Neighborhood. I’ve changed the stats to only count the sales from the last 7 days to give a better reflection of what is going on in the neighborhood during any given week.